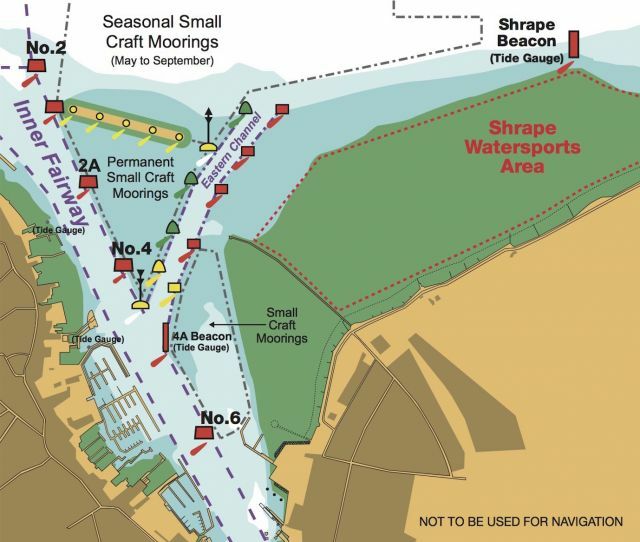 Cowes Harbour Commission has completed the dredging of a new Eastern Channel for craft up to 20m in length. The channel will provide a more direct route to the Solent than the previous Small Craft Channel. It will be suitable for use at all states of the tide. “It allows smaller vessels safe access to and egress from Cowes Harbour, reducing potential conflict with the ferry and commercial traffic movements,” explained Capt. Stuart McIntosh, Cowes harbour master. The 35m wide Eastern Channel is dredged to 2.25m below chart datum giving a minimum depth of water equal to the height of tide plus 2.25m. The dredging works began in January 2019 and were carried out by CHC’s contractor Jenkins Marine. The dredging could only be carried out over the winter due to a restricted consented window given by the Marine Management Organisation because of the presence of eel grass beds off East Cowes.